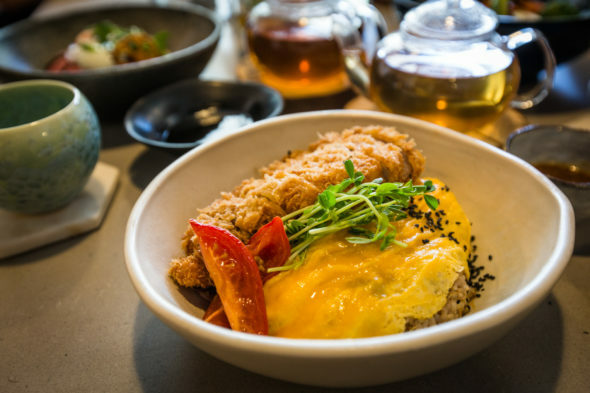 Juan Bowl & Tea in Redfern is pretty upfront about what it does – this eatery has a hyper-focused interest in serving donburi (Japanese rice bowls) and well-brewed tea. So, no surprises right? What might catch you offguard is how popular it is – and how small the whole operation is. So, you could take the dice-roll of walking in without a booking, but chances are you’ll have to do a U-turn soon after turning up. Part of the experience of being at Juan is just witnessing the parade of hopeful-then-disappointed diners who thought they could freestyle their way in. I got schooled in this by Nick Jordan (who covered Juan for Broadsheet), who warned me that there was no way to sneak in without a reservation. Booking is compulsory. Even for a quiet mid-week lunch. You won’t get in otherwise. So, when you follow the instruction manual and land a table, you’re also struck by sympathetic feels for the diners who are visibly missing out – the queue of people marching in and straight back out again. But you also feel like you’ve scored a minor lottery win. A prized seat at a small restaurant that monitors its admission intake very strictly. You’re happy that you made it in. And that feeling is justified, ‘cos Juan is really really good. It applies that Japanese single-mindedness – of taking just one or two things and doing them really well – to impressive effect. 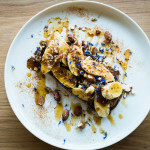 Chef/owner Anna Ishiguro launched her eatery in late October (when it was covered instantly by Ramen Raff and Chocolate Suze, which is how I found out about it) and it’s definitely one of my favourite places to open this year. 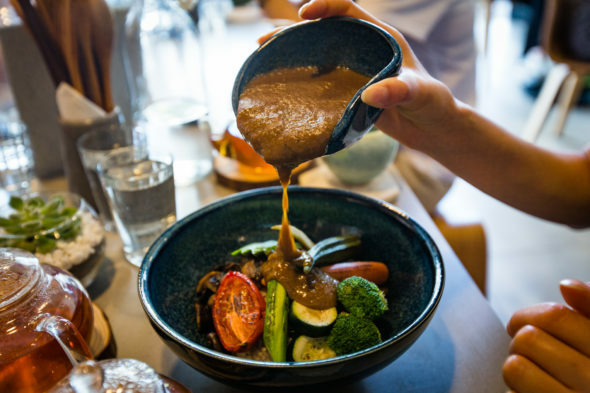 The menu is as compact as this 28-seater restaurant, where Anna does a fierce trade in the Tonkatsu ($21) bowl, made with Bangalow pork that’s been slow-cooked for two hours. 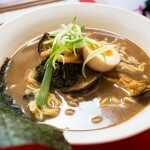 Her past as an exacting website designer has inspired the look of the dish (typical tonkatsu donburi bowls are “messy” and “don’t look nice”, she says), so she’s ‘streamlined’ the onion dashi sauce by folding it straight into the scrambled eggs – the resulting omelette is layered neatly, like a sunny-yellow beach blanket, on top of a mound of rice (which is koshihikari or 12-grain, depending on how you roll), along with some well-positioned wedges of roasted tomatoes and sprouts. The tonkatsu is sliced into precise crunchy bands, like someone carefully wielding an X-acto knife on their final-year art project. Hidden underneath, like a stylist’s trick, are house-made apple mustard mayo and red cabbage. It’s such a great take on the dish that Suze said it converted her to the pro-tonkatsu camp and I’m not surprised that it’s the bestselling item at Juan. Dan, who ate with us, did not dispute the tonkatsu don’s high approval rating, either. 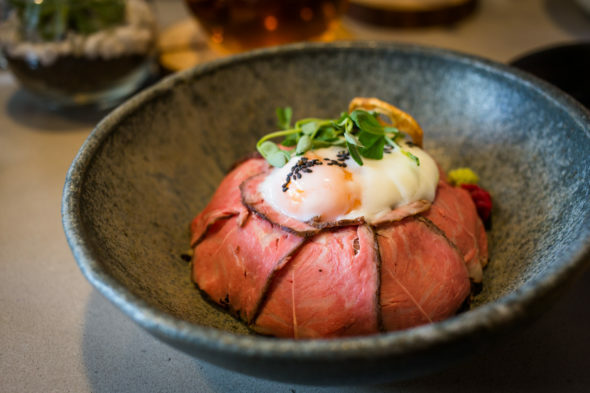 The Wagyu ($22) don is also presented in a considered way: thin slices of slow-cooked roasted beef are fanned out like petals above the rice and topped with an onsen egg, lotus root crisps and snow pea sprouts. Like a visual trick, you might not otherwise notice how the garlic butter sauce, beetroot miso, wasabi and sweet onion sauce also work their way into the dish – but that subtle interaction is part of the wagyu don’s flavoursome appeal, as Will realised. Every ingredient in the Vegetarian Curry ($19) looks like it was carefully propped to sit at the most flattering angle, but the dish doesn’t hold back on savoury impact, either. 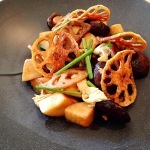 All the vegetables – from the broccoli to the tomato – are sprayed and torched with a smoked sakura liquid. The accompanying curry sauce is full of punch, and given extra reserves of flavour thanks to the added drizzle of cumin oil. Then there’s the Hainan Chicken ($20) – a contender for the prettiest version you’ve seen, with its architectural ribbons of cucumber – which was amazing enough to convince Nick to repeatedly break his revisiting-the-same-place-again rule (and also consider ways to permanently set up living arrangements inside the actual restaurant). And of course, I should mention the tea – which is via Zensation. “Even Sepia, they use the tea there,” says Anna. 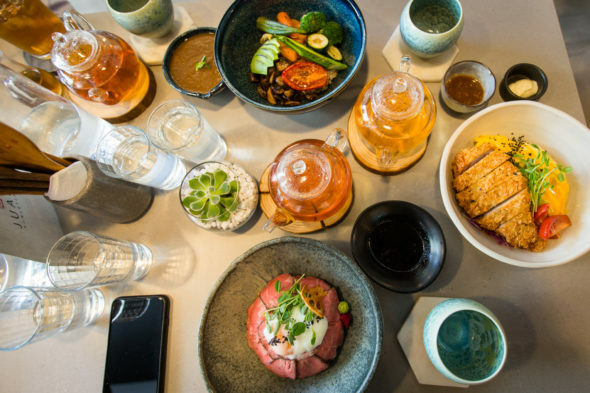 And if it’s not already obvious from the extensive geeking out over loose-leaf that takes place via menu tasting notes and well-timed pots of tea being conveyed across the room, Anna is obsessed with oolong, sencha and the entire world of brews. “I really love tea,” she says. The menu even credits the type of teaware that’s used at Juan (“Flowering Crystals” cups from Kyoto) and matches each dish with a suggested loose-leaf – so a malty Artisan Black Pagoda ($8) would go well with the Vegetarian Curry, while the bright, zesty Organic Lemon Myrtle ($7) would team up nicely with the Tonkatsu. And you can go off-script and roll with a punchy Hojicha ($6) or elegant Dragon Pearl Jasmine ($8) just ‘cos. There are also some light, fruity iced tea options, too – like the Lychee Red ($7), Mango Green ($7) or Peach Melba ($6) – which would sync up sweetly with dessert. And the star example of that, of course, is powered by tea. 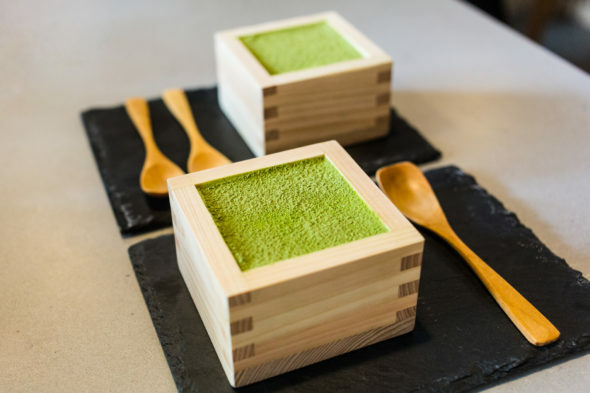 It’s the Sakura Matcha Tiramisu ($12), which is given protective custody inside a wooden sake box. To me, it seems like a remarkable way to present the dish, but Anna says, “some places in Japan serve tiramisu like that”. 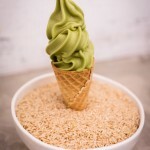 The tiramisu is interlaced with bitter, sweet and creamy layers: there’s a band of matcha-spiked marscapone, then a cloud of pure mascarpone, then cakey sponge segments soaked in a sweet-bitter matcha tea syrup. On top, the tiramisu is dusted with a sakura leaf powder that’s as graphic and green as a moss-filled forest floor in Japan. The grassy scent of the sakura sprinkles might seem very similar to green tea, but it’s distinctly different. “Japanese people know the smell,” says Anna, because of the cherry blossom leaf that’s often used in sakura mochi. It all adds up to a lovely dessert – the layers of matcha and cream are tuned to different frequencies, so you get a sharp hit of green tea with one spoonful and then a lush milky bit of mascarpone and tea-softened cake in another. It’s so gloriously gloopy, you could probably drink it. 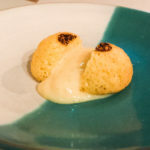 In fact, Nick joked that the dessert should be called “Tirami-soup”. You might notice that Yuzu Creme Brulee ($12) and Black Sesame Cheesecake ($12) are also listed on the menu, but they’ve not been available when I’ve been there. And this is because – as you might notice – Juan is pretty much a one-woman operation. Sure, Anna gets some help in the kitchen, but she’s essentially been staying up til 4am each morning to single-handedly finish the prep. So until she gets some more back-up, it’s understandable if Juan doesn’t offer everything on its menu or doesn’t serve diners in lightning-speed fashion. Juan is obviously operating with a stretched team and when, say, the deep-fryer breaks down (as it did when I first dined there and so, the tonkatsu don was out of commission), you can only be sympathetic. Sometimes it feels like a slightly precarious situation, so hopefully Juan gets the solid amount of staffing it needs to fully realise its great ambitions. Her achievements here are also impressive given that her background is in website design and coding. After a big life change, she decided to switch careers and challenge herself. 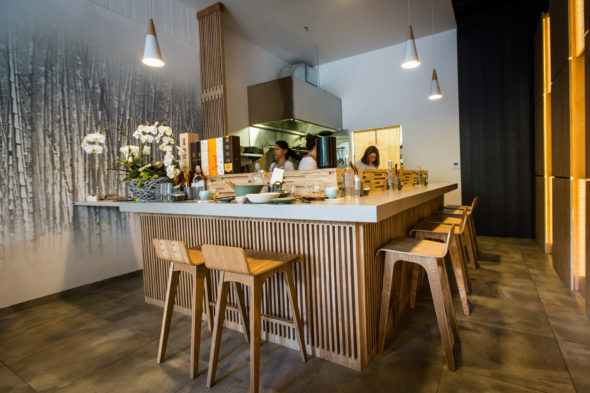 Anna started in catering, which helped bolster her English skills after migrating here from Japan, then worked at a cafe in Summer Hill before proceeding to Hana Ju-Rin for 10 months, where she learnt how to make sushi (and probably picked up a thing or two about rice). 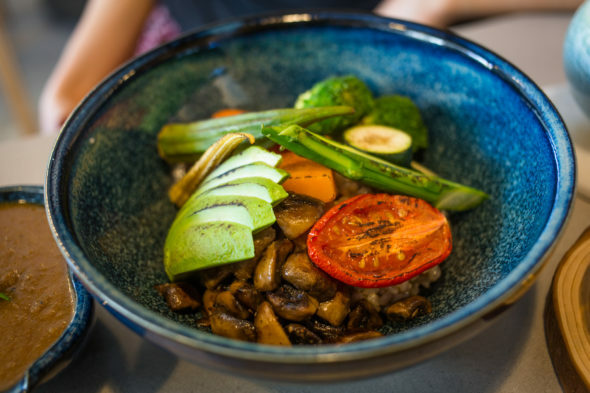 At Juan, everything seems to unspool at a different, slower rate – which means it’s not an ideal lunch spot if you have an unforgiving appointment you have to rush to afterwards. But if you have the time, it’s nice to be able to tap into Juan’s calm tempo and appreciate a place that’s grounded in such simplicity. Where a bowl of rice and glass pot of tea is enough to leave your day feeling optimised. Juan Bowl and Tea, Shop 5, 94A Pitt Street Redfern. Follow Juan on Facebook and Instagram. To date, Anna’s tonkatsu is still the best in Sydney! Her rice is ace too. Awesome write up as usual Lee! !